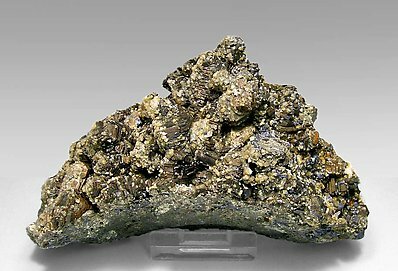 Aggregate of very sharp platy Pyrrhotite crystals with polycrystalline growths. We note the fineness of the sample and the scarcity of such good pyrrhotites from this locality. On the back of the aggregate one of the crystals is broken. The sample is from the Jan Buma collection (num. 070211), whose card we’ll send to the buyer. A curious growth form where the crystal’s lateral growth patterns have become so deep that they look like laminar crystals. For all the passage of time they still have excellent color and brilliance. It was bought in 1927 from W. Maucher of Munich. 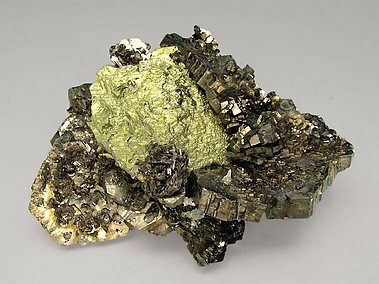 Something different: Chalcopyrite after Pyrrhotite rosettes with Galena and minor Sphalerite. Everything well crystallized. Aggregate of short prismatic Pyrrhotite crystals with very well defined faces and edges. 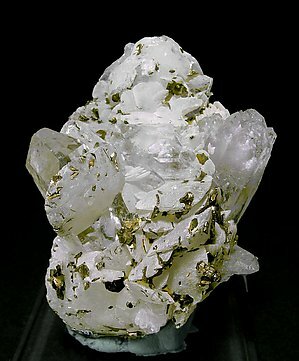 They are bright and partially coated by very small cubo-octahedral Galena crystals, very sharp rhombohedral Calcite and small Quartz crystals. Group of well defined faces and edges on tabular Pyrrhotite crystals. With some recrystalization on the pinacoid faces. 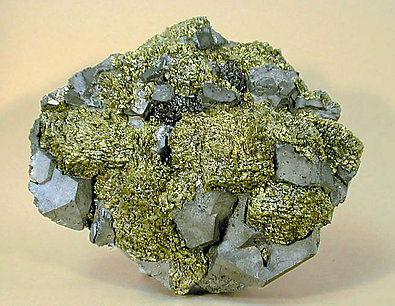 To increase esthetics, a very bright Chalcopyrite crystal is located in the center of the specimen. 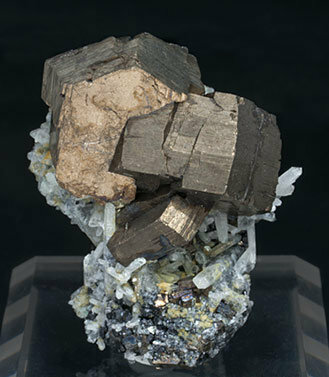 Sharp laminar Pyrrhotite crystals, bright and with a fine and neat hexagonal contour. They are on a matrix of lenticular translucent Dolomite crystals. A Brazilian classic. 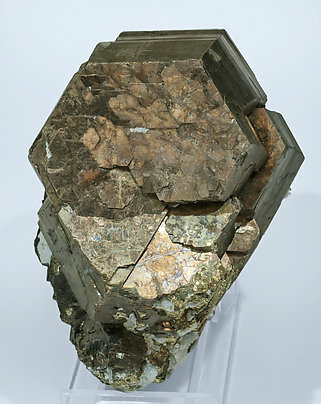 Group of prismatic Pyrrhotite crystals with excellent terminations, partially covered by small Dolomite crystals. The piece is accompanied by a handwritten label and a card (nr. 9812) from the Folch Collection, where we can read that it was purchased in 1966. 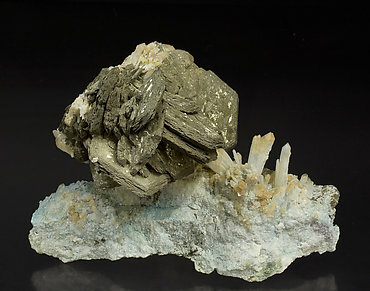 Group of crystals of Pyrrhotite between tabular and laminar. 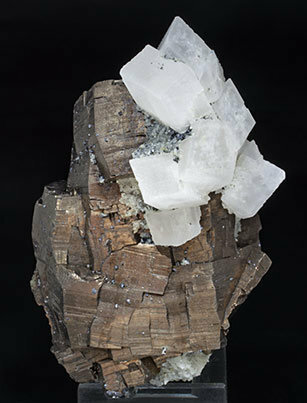 They are perfectly preserved, and they are with very well defined and bright cubo-octahedral crystals of Galena and a group of white Quartz crystals. 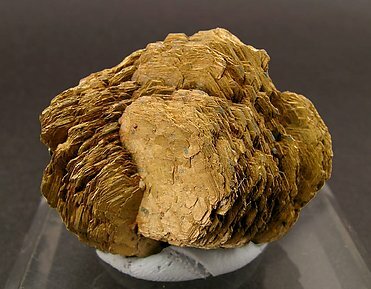 Groups of laminar crystals of Pyrrhotite in rosettes. They are very aerial, of a considerable size and are on a rocky matrix. 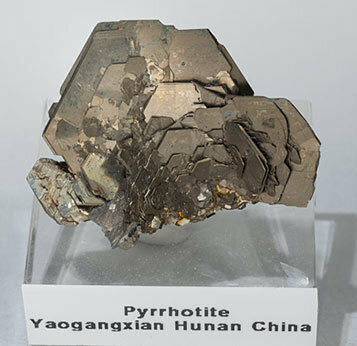 The crystals of Pyrrhotite, with recrystallized Pyrite on the surfaces of the pinacoidal faces, remain stable in spite of the long time that has passed since they were recovered, very probably due to the presence of the Pyrite. 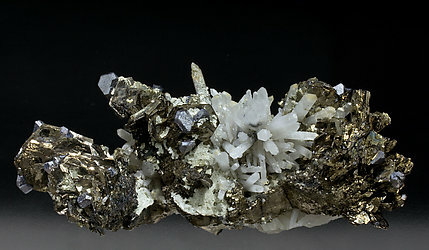 Large Pyrrhotite crystals with very well defined parallel growths, with an intense brass color and luster and on matrix with small Quartz and Pyrite crystals and twinned Sphalerite. 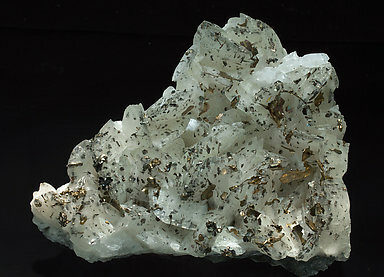 Pyrrothite forms very sharp lamellar crystals of a marked hexagonal contour, all over white lenticular crystals of Calcite, all covering a group of clear prisms of Quartz.